Some news about Hamburg Startups ! Hey SpeedUp Europe-Startups! Congrats for your entry to the first class of SpeedUp Europe program! We would be very happy if you take part in the Hamburg Startup Monitor in order to help us showing how thriving the startup scene really is and to show how fast it is growing. You’re part of it! Due to the Launch of the SpeedUp Europe program we’re planning an editorial special in which we’re presenting the new startups and their Hamburg Startup Monitor Profile of the SpeedUp Europe Program located in Hamburg. Additionally we also started a small campaign with a local Startup called Foodist. 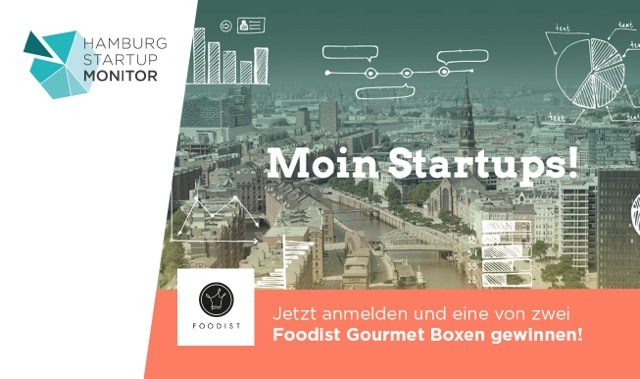 Every Startup taking part in the monitor until 30th of January has the chance of winning a yummy Foodist-Gourmet-Box. We hope to see you soon, then! Since End of 2013, the Hamburg Startups Team is pushing forward it’s goal to enhance the visibility of Hamburg’s startup scene as well as to improve networking among it’s players. In order to do so we constantly keep an eye on Hamburg’s startup scene with our blog:www.hamburg-startups.net. Furthermore the team wishes to improve international relevance of Hamburg as a startup hub by monitoring the economical developments of it’s startups on regular basis.